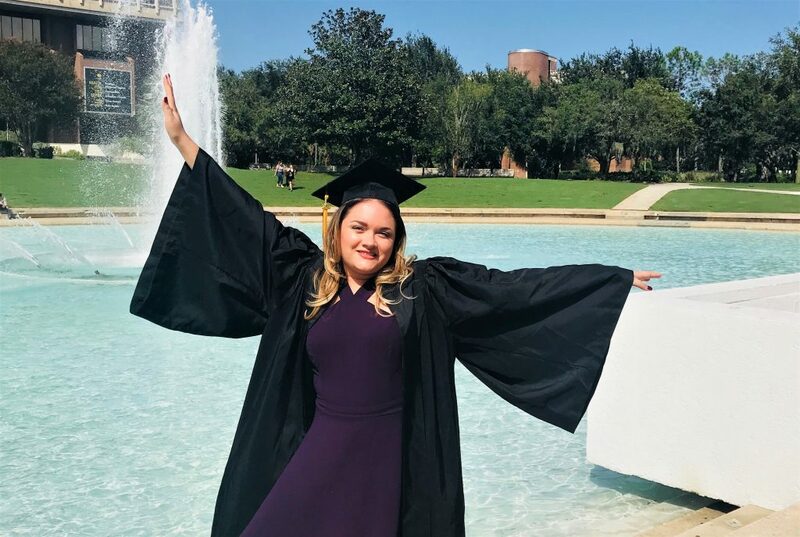 When Raquel Muñoz, a daughter of Colombian immigrants, crosses the stage to collect her bachelor’s degree in biomedical sciences Saturday, she will honor her parent’s sacrifice as she becomes the first in her family to graduate from college. UCF President Dale Whittaker will confer more than 3,700 degrees in two summer commencement ceremonies Aug. 4. Muñoz is one of 101 graduates from the College of Medicine’s Burnett School of Biomedical Sciences — 83 undergraduates, 16 masters students and two Ph.D.s. – who will receive diplomas. Muñoz came to UCF from Texas as a recipient of the Knight’s Achievement Award, an academically based scholarship for out-of-state students. At UCF, she became a peer mentor and a member of American Medical Student Association student chapter. She credits UCF for exposing her to diverse groups of people, which she believes will help her serve different populations as a pediatrician. “UCF is very inclusive and always made me feel welcome and that was really the best part about studying here,” she said. After graduating, Muñoz will continue to volunteer at the Florida Hospital for Children while applying to medical school. Has the UCF College of Medicine Positively Impacted You? The UCF College of Medicine is a research-based medical school with a culture based on partnerships and collaboration. As a founding member of Orlando's Medical City we are proud to be your community medical college. Find out how to give back to your medical school, today! AAMC: Residents Are Sleep Deprived. So What’s New? Can The Brain Help Heal The Heart? Want to stay up to date with the UCF College of Medicine? Sign up for our newsletters by entering your email below, and we will send you periodical news and information.